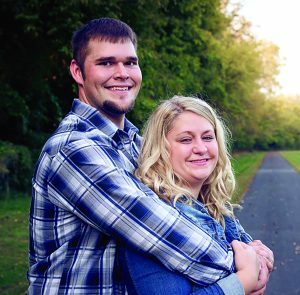 Alisha Lorraine Buxton and Austin James Frey, both of Forest, Ohio, are announcing their engagement and upcoming marriage on October 12, 2019, in Upper Sandusky. The bride-to-be is the daughter of Doug & Via Buxton, of Forest and Jerry & Karen Graham, of Rawson. Alisha graduated from Riverdale High School in 2013. She earned an Associate’s Degree in Education at Owens Community College in 2017. Alisha is a preschool teacher at Forest Christian Preschool. The groom-to-be is the son of Alan Frey, of Arlington, and Deanna Stover, of Sycamore. He graduated from Riverdale High School in 2013. He earned an Associate’s Degree in Business Management at Owens Community College in 2017. Austin is a Body Shop Technician at LaRiche Chevrolet Cadillac.